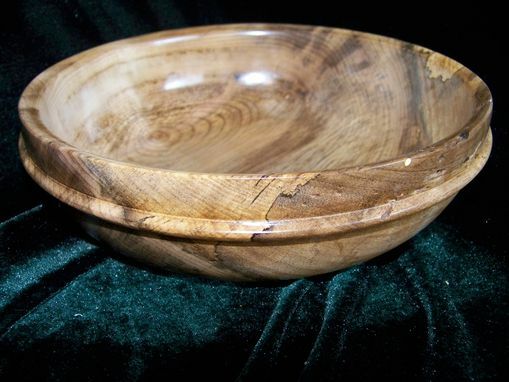 This bowl is made from Oregon Spalted Myrtle Wood with some worm holes around the edge of the bowl. You have a 1/4" rim around the outside of this bowl, about 1/2" down from the edge. Spalted means that as the tree starts to die, a fungus seeps in, causing the darker streaks in the wood. The finishing that I use stops the fungus, it will not get any darker. Dimensions: 9 1/2" X 2 7/8"